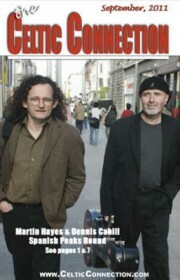 the traditions of Irish, Scottish, and related Roots music and dance. Huerfano’s four most populated areas are Cuchara, La Veta, Gardner, and Walsenburg. They are like four siblings with totally different personalities. Walsenburg, the county seat and former coal town, will host the Celtic fest’s Harp retreat as well as the popular Friday and Saturday evening concerts at the historic Fox Theatre. Highlighting the connections between Celtic and Appalachian music, Fridays’ concert, “Scotland meets Appalachia.” will cast the renowned Old Blind Dogs, David Coe and others. On Saturday brace yourself for one exciting Irish hooley when County Clare fiddle sensation Martin Hayes, Dennis Cahill and friends raise the boards. La Veta is a charming artesian town that will house the Celtic fest office and is site of many classes/workshops and activities in the La Veta Park. Take a walk around town where the folks are friendly or jump on the train and go up the pass where bears often scavenge fallen grain that have slid from Coors boxcars. For a rustic mountain experience, travel 10 minutes south along the scenic highway of legends to Cuchara. This mountain village could easily be the set for an old fashion western movie. This is still a secret, but how much fun will happen when the Old Blind Dogs and friends meet at the Dog Bar on Thursday afternoon to start warming up for the Festival? On Thursday evening Gardner will host “A Taste of Things to Come,” a preview party with festival performers playing a few tunes or singing some songs. This “locals” event, is a sell-out each year so don’t your tickets a the last minute. Gardner has a colorful history too. Once the hunting grounds for Utes, Comanche, and Apace, it became home to cattle ranches. In the late 1960’s it became home to hippie communes. Most moved when they discovered the realities of rural living – hard work. Gardner is also home of the Festival founders, Jack and Barbara Yule. Unafraid of work they moved to the area from Scotland a decade ago from Scotland to homestead on 30 acres. Jack is a harp maker and melodeon player and Barbara a storyteller. The festival grew its roots from informal ceilidhs (Scottish spelling for Ceili) that unfolded when they were visited by friends and family from back home. Oh, can’t forget the Ceili in the ghost town of UpTop on La Veta pass Friday at noon. This is a free event that was started last year and was a blast. Bring a tune, song, or dancing shows and enjoy the session in the old saloon and dance hall. Pack a picnic (snacks will be for sale) and bring your camera, as the sights are beautiful. Also plan some time to visit the chapel and old depot from 1888, once the site of the highest narrow gauge railroad in the world. Now the site of the highest ceili in the world! Did we say the Spanish Peaks Celtic fest is unique? 7th Annual Spanish Peaks International Celtic Music Festival, September 22 – 25, with music and workshops by Martin Hayes and Dennis Cahill, The Old Blind Dogs, Robbie O’Connell (Clancy Brothers, Green Fields of America), David Coe, Ed Miller, Margaret Bennett, Roger Landes, Aine Minoque, Kim McKee, Jennie McAvoy, Claire Mann, Linda Hickman, Tanya Perkins, Shay Dunne, Cleek Schrey and more. Visit www.celticmusicfest.com or call 719-746-2061, 719-742-3003, 719-742-5410, or 303-777-0502 for information and registration. There’s an old Irish proverb that states ‘an ounce of breeding is worth a pound of feeding’. Well that adage can definitely be applied to Darragh O’Neill who has just been announced as the starting punter for the CU Football team. Darragh has never before played in a competitive American Football game in High School or College and only took up punting last winter. Darragh was born in Ireland with both parents providing a serious Gaelic Football pedigree. His father Colm won All Ireland medals with County Cork while his uncle Maurice Fitzgerald also won All Irelands with County Kerry and is revered for his incredible contribution to the game. Most Irish people would have Maurice in their top 5 Gaelic Football players of all time. Darragh’s family left Ireland when he was 2 and moved first to Michigan where his father earned an MBA before they settled in Louisville. 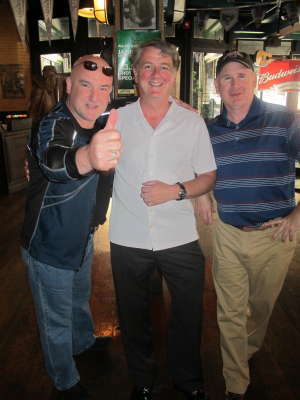 Colm owns the popular Conor O’ Neills pub in Boulder as well as a sister pub in Ann Arbor, Michigan. Darragh grew up playing Baseball, Soccer and Basketball before concentrating on the latter two sports in High School. However, it looked like a promising sports career would be cut short when Darragh fell ill with a rare blood disease during his sophomore year. The illness baffled doctors and caused his lungs to hemorrhage just before he slipped into a coma for five days. A priest delivered last rites, and the outlook did not look good. Amazingly, he bravely fought the illness and eventually recovered back to full health. Doctors felt it would be quite some time before he would be able to play sports again and probably not competitively because of the damage to his lungs. This would not deter Darragh who worked hard on his fitness and managed to recapture his place on the Fairview High School Soccer and Basketball teams. He was an All-State soccer player and led the basketball team to back-to-back Class 5A State Championship Finals with thrilling displays along the way. He was named Colorado Basketball Player of the Year in 2010 and averaged over 23 points a game as a point guard. A friend hooked him up with local kicking coach Matt Thompson and a tryout with CU special teams coach J.D. Brookhart in March led to Darragh getting his shot. He immediately caught everyone’s eye after kicking a number of monster kicks. Darragh then had a battle on his hands all through the spring and summer to perfect his technique and ensure he had a consistent kicking game. He was competing against two other seasoned punters but CU Head Coach Jon Embree was convinced by Darragh’s skill, determination and toughness. 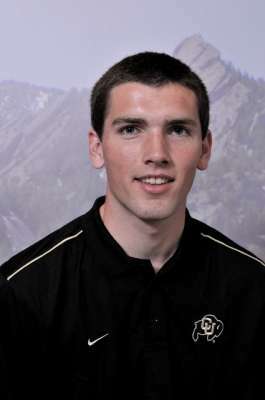 He named the twenty year old as the starting punter for CU’s first game, which takes place on September 3rd in Hawaii. It’s unheard of that someone plays their very first competitive game in a sport live on ESPN in front of a national audience. But then ‘Darragh’ in Gaelic means “oak tree” and it is that tenacity which has seen him recover from a life threatening illness and rise to the top of all sports that he has decided to play. Not nearly satisfied with baseball, soccer, basketball and American football, he is an accomplished rower and has played Gaelic Football. Under the tutelage of his famous uncle Maurice, not only did he learn rowing, but he took home an All Ireland Rowing Medal after just a summer learning the sport. Darragh also has a North American Under 18 Gaelic Football medal, won while playing for our very own Denver Gaels. Indeed, he probably would have been able to contribute more to the club if his summers weren’t spent in Ireland with his family. Darragh comes from a family of eight where sports plays an integral role and they continue to provide a conveyer belt of talent to sports teams here in Colorado. His brother Shane is also an outstanding soccer and basketball player and played with Fairview in the State Basketball Final last year. He is currently on the development squad for the Colorado Rapids and would love the opportunity to play professional soccer. Darragh has two other brothers – Enda and Mark and two sisters – Kate and Grace. His parents Colm and Christine regularly spend their weekends chauffeuring the kids to different tournaments around Colorado. CU now want to take over that role starting with a trip to Hawaii for Darragh’s debut as an American Football punter. a Doctorate in Fine Arts for his works in making Uilleann Pipes. Charles “Chuck” McLaughlin, 59, passed away suddenly on Sunday, June 12, 2011 in Albuquerque, New Mexico at the home he shared with Judi, his wife and best friend of 42 years. since it fit into our plans to expose the Celtic Connection newspaper as a niche resource to as many folks, businesses, and organizations as possible who live, work, and play up & down the Rockies. I decided to take the opportunity to reach out further with the CC and took the show. From Denver I researched Irish/Celtic organizations in Albuquerque – One of the names I came across was Chuck McLaughlin, Irish Freedom Committee. When I contacted Chuck I learned that he had also been a member of the Irish American Society of New Mexico and had publicity experience as media director for the Rio Grande Celtic Festival. When he understood what we were attempting to do in “Albu” he immediately went to work putting together names, numbers, and ideas that might assist us in promoting the show. I was so impressed by the effort he made to help a person that he had never met. He never tried to feel me out to learn who I voted for, what I prayed to or any other hot-button topic of judgment – he was just trying to help another human being who needed a hand. I soon learned that this was not an isolated incidence – Chuck was a man who unconditionally helped people as a way of life. There was more than a little nail biting when we drove from Denver to Albuquerque for the show. Soon after we arrived at the venue Chuck and his good buddy Don Murphy showed up and asked, “How can we help?” I can’t tell you how comforting those words were, as we were working with a skeleton crew of my wife, me, and our then four year-old boy – who wasn’t much help but a good source of entertainment. Keriayn O’Donnell has recently returned from Ireland where she was competing in the regional finals of the 2011 Rose of Tralee Festival. 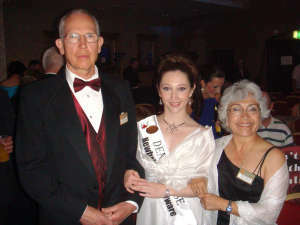 Keriayn was the first local girl to be chosen to represent the City of Denver as the Denver Rose in this prestigious event. Although she performed well in all aspects of the four day event, she was not among the girls chosen to attend the finals to be held in August. The competition was fierce and, unfortunately, only 23 of the 51 entrants could advance to the finals. Besides the disappointment of not advancing to the finals, Keriayn suffered a stress fracture in her foot the first night of the competition and was not able to perform the slip jig she had been practicing for the judges. She elected instead to perform a piano piece. All in all, though, the trip was a good one for Keriayn and her family as they were able to do some sight seeing before her competition and visit with cousins in Cahir, County Tipperary. In a show of family support, six O’Donnells from Tipperary attended judged events during the festival. Keriayn will continue to represent the Denver St. Patrick’s Day Parade Committee at State and local functions as Queen Colleen until her successor is chosen this Fall. The Scotsman picks up a manhole cover, tucks it under his arm and walks to the gate. “McTavish, Scotland,” he says, “Discus” and in he walks. The Englishman picks up a length of scaffolding and slings it over his shoulder. “Waddington-Smythe, England ” he says, “Pole vault” and in he walks. looks under his kilt and says, It’s not my husband”. Sign in a Dublin shop: OReilly’s Kentucky Fried Chicken. If Colonel Sanders had had our recipe He’d have been a general!